In 2007 two CollegeHumour writers Jake Hurwitz and Amir Blumenfeld began shooting short comedic videos in their office where they played exaggerated versions of themselves, Jake as the sensible straight man, and Amir as his obsessive and socially offensive co-worker. The series grew in popularity and ran for eight years, gaining around half a billion views over its seven-hundred and fifty episodes. In 2015 it concluded, with the final eight episodes airing online. After a plan to launch the webseries as a show on TBS fizzled out, a social media campaign #GreenLightJakeandAmir prompted truTV to order a pilot of the Jake and Amir TV show. 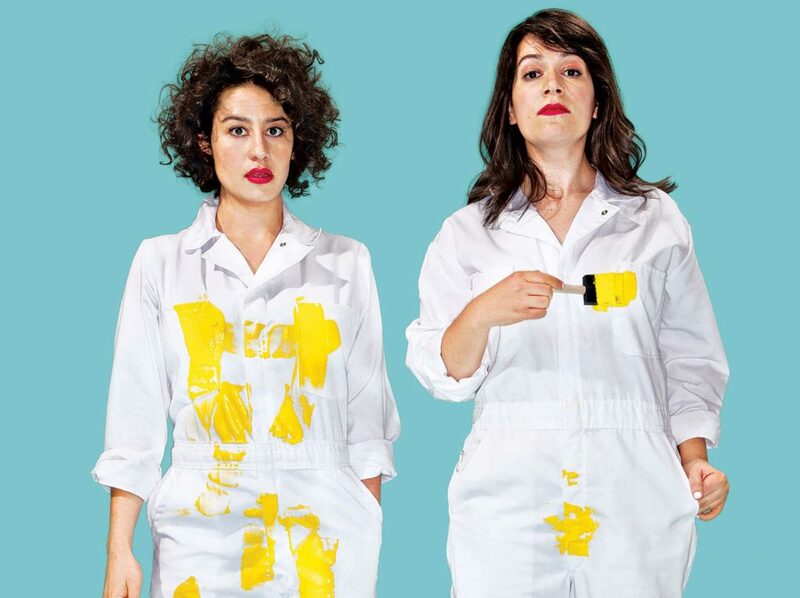 Upright Citizens Brigade alumni Ilana Glazer and Abbi Jacobson first introduced Broad City as a webseries in 2010, following their misadventures as two young women living in New York City. Playing fictionalized versions of themselves, Glazer is a marijuana-loving slacker and Jacobson is a struggling illustrator. The webseries gained popularity and attracted the attention of Amy Poehler, who became an executive producer on the show and acted as a mentor to Glazer and Jacobson, helping them develop the show into a television series, Broad City premiered on Comedy Central in early 2014, and was received with praise from both critics and the public. The show is currently in its third season. In 2013 High Maintenance was launched as a partnership between show creators Ben Sinclair and Katja Blichfiel and Vimeo, as the site’s first original series. The show follows an unnamed drug dealer as he delivers marijuana to a diverse host of clients in New York City. Each episode features a new cast of characters. While the first several episodes were released for free, the show retuned for a second season via Vimeo On Demand with a longer run time and a price tag attached. This proved to be a lucrative play, as High Maintenance quickly became one of the all-time top-selling releases on the site.